Do you like to eat dinner? I love to eat dinner! Although prepping for dinner is a completely different story. There are are always other things I would rather be doing, like coming up with a new craft tutorial for you! 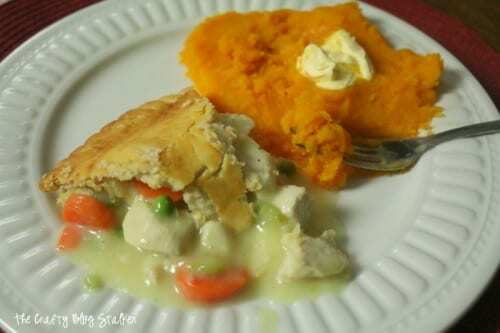 If you are like me I have the perfect dinner idea for you, Chicken Pot Pies and Steamed Butternut Squash. We are headed into a very busy time of year with lots of planning, friends and family and meal prep. But not all of your meals need days of thought and prep. In fact, you could make this tonight for dinner! This is a super easy meal that is delicious and your family will agree! The main course is Marie Callender’s Chicken Pot Pie. Did you know that you can purchase a large family size pie? I didn’t, until I was at my local Walmart. 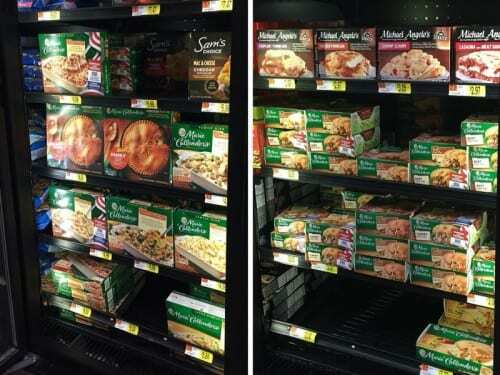 You can find them in freezer section. I knew about the personal pot pies, but didn’t know that they have a family size that serves 6! Hey, that’s how big my family is. Perfect! Marie Callendar’s Pot Pies are perfect because they go straight from freezer to oven. I love it when the oven does all the hard work! Don’t worry, the steamed butternut squash is super simple too, and comes together pretty quickly. 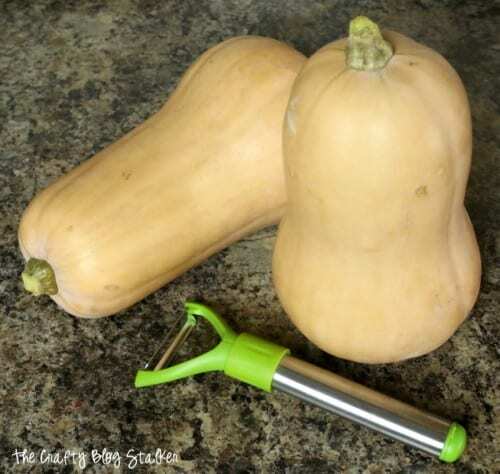 My family loves squash so I used 2 butternut squashes that were each about 3 lbs. You could also easily do 1. 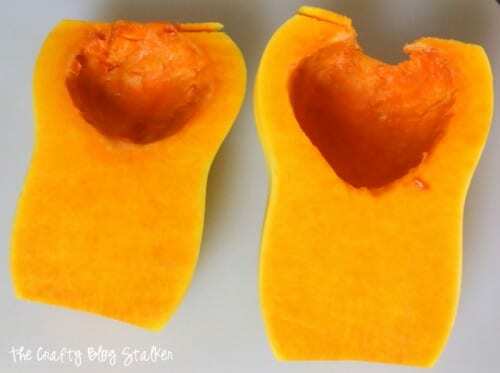 Start by peeling the squash. You want to make sure that you go a little bit deeper than the first layer of peel. 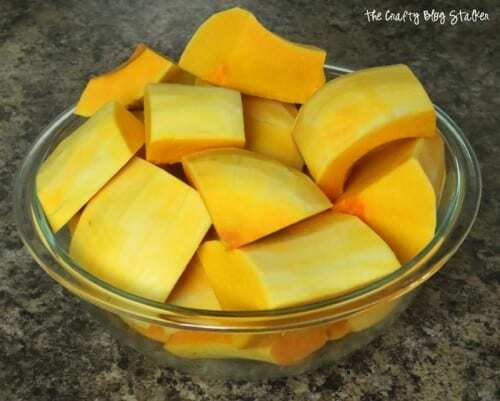 Cut the ends off of the squash, cut it in half, and then scoop out all of the seeds with a spoon. 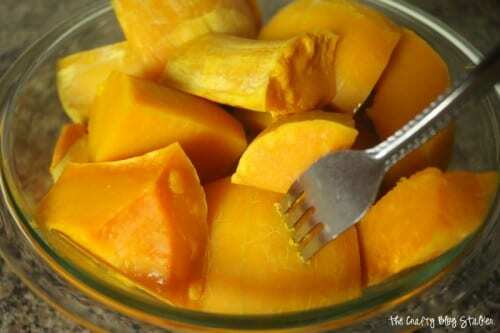 Cut each half into chunks and put pieces into a microwave-safe bowl. 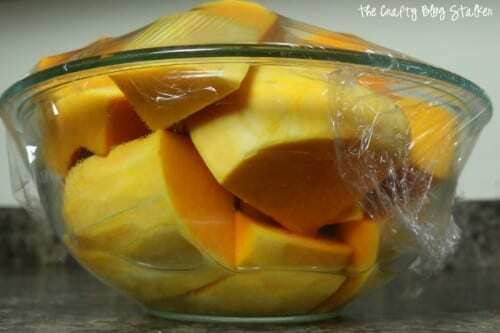 Add 1/2 cup of water to the bowl and cover tightly with plastic wrap. Put in the microwave for 15 minutes on high. When the time is up, stick a fork in them to see how tender they are. You want them very tender where the fork inserts very easily. If they aren’t done yet, put them back in the microwave for another 5 minutes. Cooking time depends on the size of the squash pieces and how large the squash was. 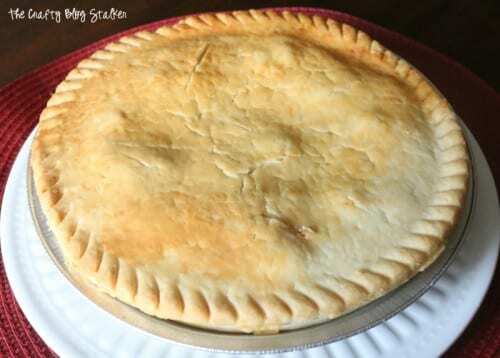 When the Chicken Pot Pie comes out of the oven it looks so yummy and smells delicious! Look at that gorgeous golden crust, just like mom used to make! 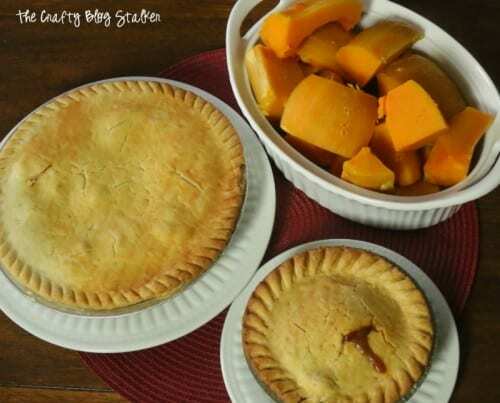 Carefully put the Pot Pie and steamed Butternut Squash on the table and dinner is served. You did it! A delicious home cooked meal is easy to make and yummy to eat. Slice up the pot pie to serve and squash the squash pieces with a fork, add a little bit of butter and your meal is ready to be devoured. Yum! 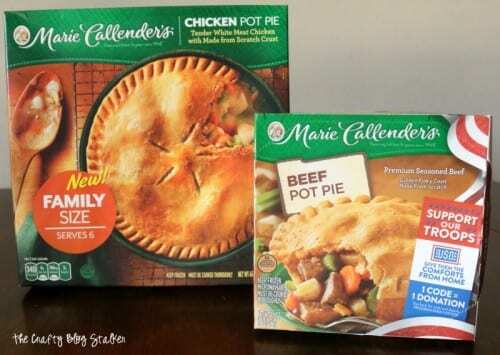 To learn more about Marie Callender’s Pot Pies, you can visit them on Twitter, Facebook, Instagram, and Pinterest. What is one of your favorite simple dinner ideas? I was just wondering the dimensions of your DIY craft table. Specifically the top and the space you left between the IKEA pieces for a chair or stool? Thanks, love it!! The top of the table measures 72 x 32 inches and when using the 3 Expedit Ikea bookcases it leaves a gap of about 26 inches for a chair or stool. You could easily put one on each side. My husband and I like the parmesan broccoli flavor of the smaller Marie Calendar pot pies. A comfort food meal when you’ve had a busy day. Oh the broccoli one is good too! I love easy meals that leave the belly happy and full!